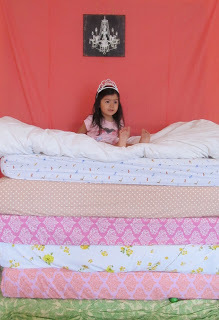 Audrey’s birthday and Princess and the Pea party has come and gone. I sent you an invitation to the party via email. Mostly I threw myself into it creatively. It was an outlet. I realized that it wasn’t a sad occasion the way her birthday party felt a year ago. Sorrow was a guest at that one. I felt it even as we marched around our apartment with instruments following the singer I’d hired. I saw it in my face in the photos afterwards…my smiling, shocked, sad, face. Instead of sorrow, I imagined your role there throughout the day this year. Instead of my dad, you would’ve run out to Whole Foods to get the cupcakes and to Dunkin Donuts to get the coffee for the grownups. You would’ve called instead of him asking me about the flavors the way you always called from the store with questions. It usually started, “OK, so…” I would answer the phone simply, “Yes…” You would’ve washed dishes and vacuumed the crumbs up afterwards. You would’ve made much fun of the Cinderella I hired to stop by for a surprise visit. I try to imagine the funny things you would’ve said. But I can’t. Because that’s the problem with someone being dead. Anything you imagine is from you. Not them. You are three years old. Another birthday, the second of many, has come and gone. Hi Jo! 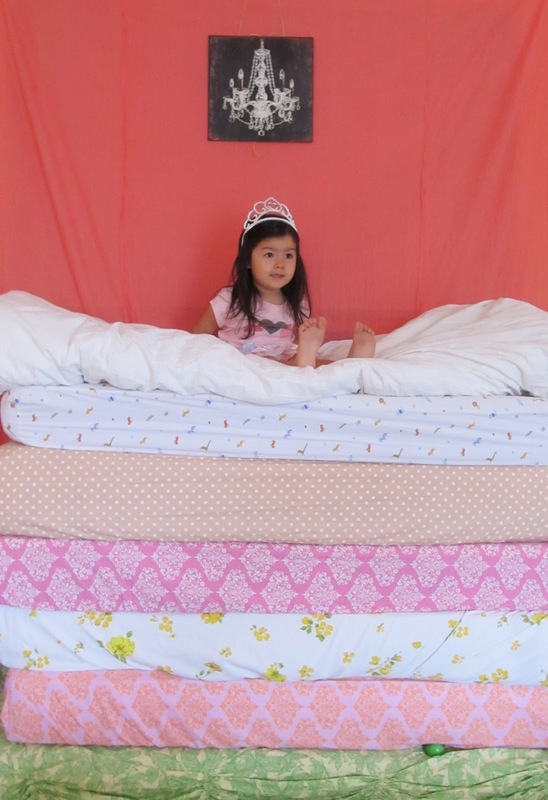 I am currently organising my daughter's princess and the pea birthday party and came across your photograph! If you don't mind me asking, where did you get these gorgeous sheets?